England’s increasingly intoxicating World Cup campaign continues on Saturday when they face Sweden in an all-or-nothing quarter-final. Win this and Gareth Southgate’s side will be just one more victory away from a first World Cup final since 1966; lose against theoretically inferior opposition and all the progress the Three Lions have shown at this tournament will feel somewhat wasted. 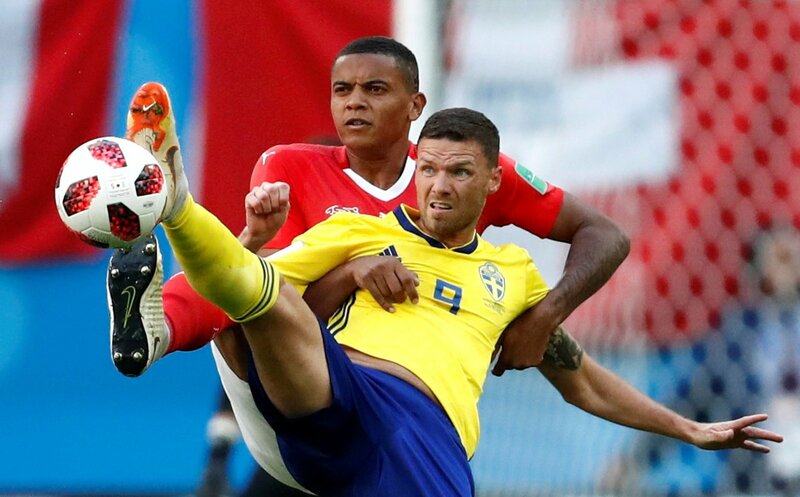 He’s clunky, cumbersome and still awaiting his first goal of the tournament but Marcus Berg brings that physical awkwardness to Sweden’s front-line, and quite simply has a knack of making things happen. England’s back three, as effective as they’ve been on the most part, just haven’t really faced that kind of challenge yet at this World Cup – with the exception of Panama’s incredibly isolated 37-year-old target man Blas Perez – and it remains to be seen how exactly they’ll cope. It’s not just a test of Stones’ ability to battle a chaos-factor centre-forward either, to paraphrase Alan Pardew. The real danger is the space Berg’s awkwardness creates for others, particularly Ola Toivonen who sits just behind him, so it’s a question of the England sweeper’s judgement and anticipation – knowing when to directly confront Berg and when to be wary of those trying to make runs off the 6 foot front-man. Kyle Walker and Harry Maguire will obviously be crucial to that too, but the key remains Stones’ ability to communicate as the deepest-lying defender. Only four teams have averaged less possession than Sweden at this World Cup, three of which have since been eliminated from the competition, and only Brazil have conceded less than the Scandinavians, so it’s pretty obvious what their game-plan will be against England; sit deep, soak up pressure and take whatever slim pickings come their way on the counter-attack in the hope the ball eventually finds its way into the net. Traditionally, that’s exactly the kind of opposition England tend to struggle against, and during the Colombia clash Dele Alli, Jesse Lingard and Raheem Sterling’s inability to really get into the game between the midfield and forward lines was a real concern. They need to improve significantly if England are going to make much lighter work of Sweden. But the key balancing act for England is one of patience versus purpose. On the one hand, Sweden will make them wait for their openings, so it’s important to hold onto the ball and not rush the game – England do, after all, have ninety minutes to score. On the other, there needs to be some genuine intent behind the Three Lions’ possession, because Sweden’s confidence will only grow the longer they go without conceding and the more comfortable their defensive block becomes. It’s a tricky equilibrium for England, and may require Lingard or Alli to provide a moment of pure ingenuity in midfield. 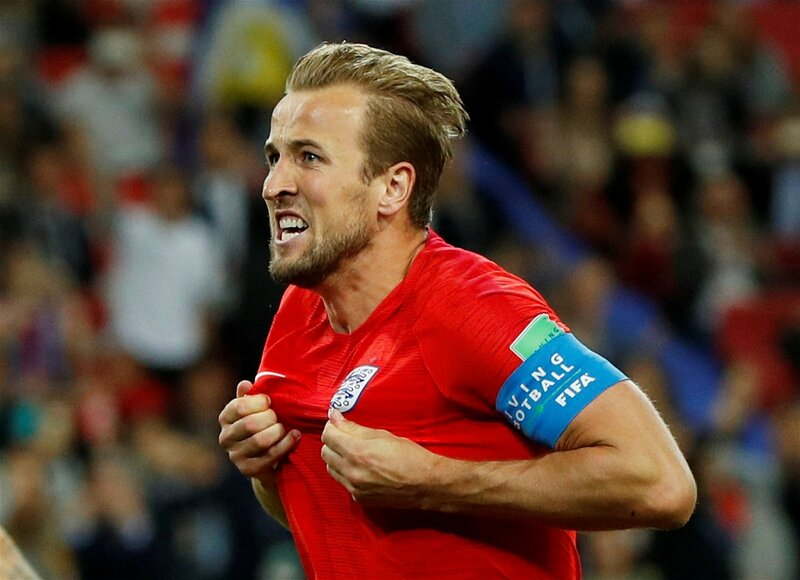 With Harry Kane so far ahead in the Golden Boot race, it’s easy to forget England have actually scored just two goals from open play in four World Cup outings – the remaining seven coming from set pieces and the penalty spot. And for reasons mentioned above, they’ll have a tough time trying to reverse that trend against Sweden. But the Skandinavians aren’t exactly potent goalscorers either with just six in total at the World Cup, albeit surpassing England’s open play total by one, and considering how defensively their side is set up, there’s a strong likelihood that the first goal will decide the match. Even if it’s not the only goal of the game, it will dictate how the rest of it plays out. Should it go to Sweden, England will need to simply bombard an incredibly well-organised, ultra-defensive side. Should it go to England though, Sweden will be forced to play outside of their comfort zone and push for the equaliser. Once they open up, the Three Lions shouldn’t have too much trouble finishing Sweden off. There have been strong calls for Marcus Rashford to replace Sterling in England’s starting XI since the very start of the tournament but the Manchester United youngster looks set to be on the bench once again this Saturday. With Jamie Vardy nursing a groin strain though, he’ll be Southgate’s key offensive threat from the bench, and one who could really change the game for England. Rashford’s pace will be largely irrelevant because Sweden sit so deep, but his delicate dribbling and netting prowess could be crucial to breaking down a packed defence. Isaac Thelin, meanwhile, takes up a similar role for Sweden. He’s not particularly quick but offers physical presence and had a better strike rate than one-in-two in the Belgian top flight last season. If Sweden are in need of a goal, he’s the man who’ll have to make the difference.